1 McCool defeated Natalya to become the inaugural champion. 2 This episode aired on tape delay on December 26, 2008. The championship became exclusive to the Raw brand on April 13, 2009 when Maryse was drafted from SmackDown. - WWE vacated the title after Melina sustained a torn anterior cruciate ligament, which sidelined her from in-ring competition. 6 Maryse defeated Gail Kim in the finals of an eight diva tournament to win the vacant title. 8 This was contested in a Fatal four-way match that also involved Gail Kim and Maryse. Fox pinned Maryse to win the title. 10 This was a unification match, where the title was unified with the WWE Women's Championship. 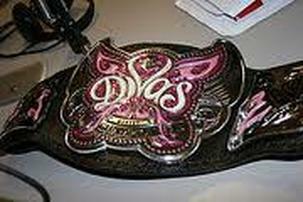 The title, which was referred to as the WWE Unified Divas Championship for weeks afterward, took the lineage of the WWE Divas Championship and became accessible on both Raw and SmackDown brands. Layla subsequently claimed to be the co-champion with McCool, but it is not recognized by WWE, though she defended the belt in McCool's place on some occasions. 11 This was a handicap match also involving Layla as Michelle McCool's tag team partner. 12 This was contested in a Fatal four-way match also involving Layla and Michelle McCool. Eve pinned Layla to win the championship. 16 This was contested in a lumberjill match. 17 Beth Phoenix was the opponent for the match, but Layla replaced her as Phoenix wasn't medically cleared to wrestle. With the win, Layla became the first English Divas Champion, and first Diva Search winner to hold both the WWE Women's Championship and the Divas Championship. 22 This was AJ Lee return to WWE after losing her title to Paige. 24 This was a triple threat match also involving Nikki Bella. 26 Had Nikki been counted out or disqualified, she would have lost the title. - WWE Hall of Famer Lita announced that the winner of the triple threat match between Charlotte, Becky Lynch, and Sasha Banks would be crowned the new WWE Women's Champion, subsequently retiring the WWE Divas Championship.